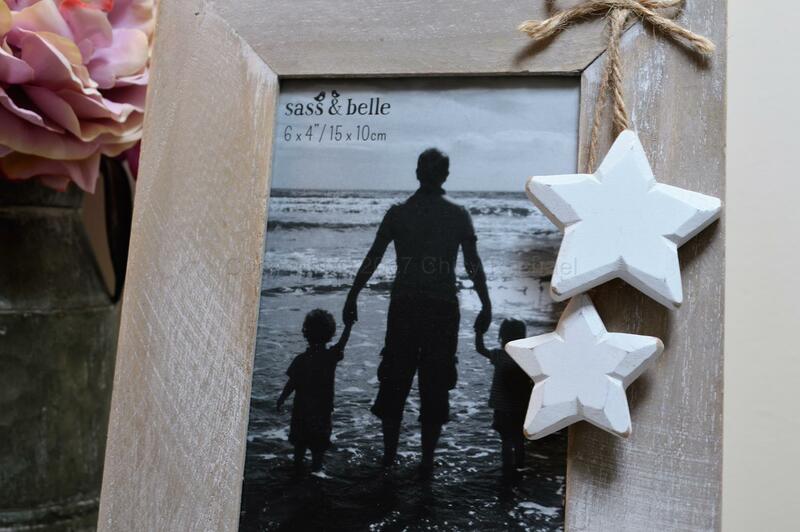 This is a gorgeous photo frame made from rustic wood which has been lime washed to give it a lovely washed out look, it has two white wooden stars hanging in one corner from rustic jute string bow. 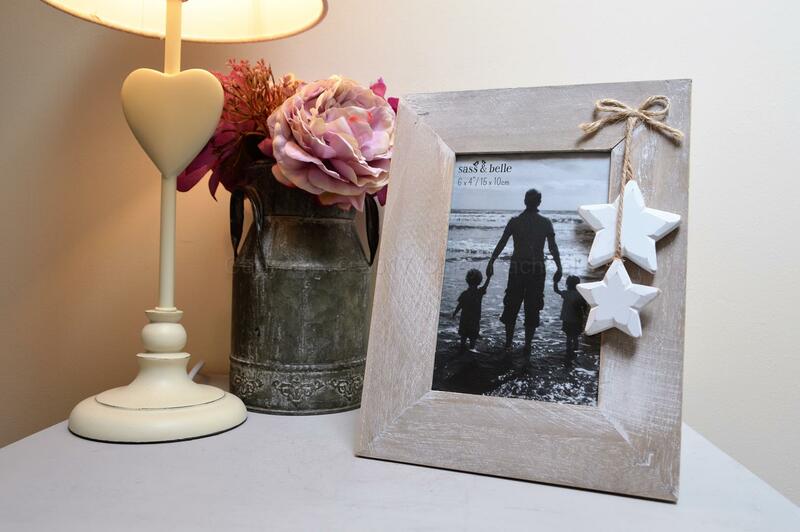 The frame is free standing it would look lovely sat on your mantel piece or shelf with your favourite picture. 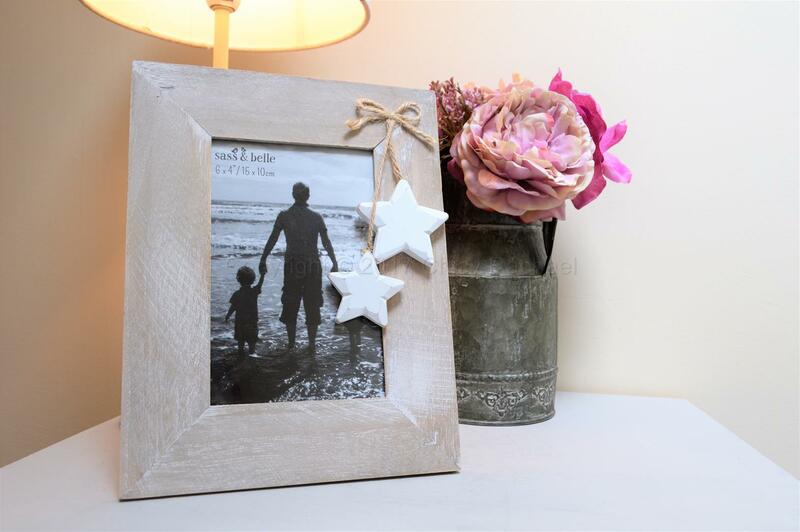 This lovely frame would make the perfect addition to any home.